The Texas Peanut Producers Board is committed to providing Texas farmers the information they need to improve peanut production. 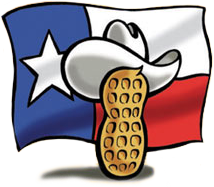 More than 50 percent of TPPB’s annual checkoff funds are allocated to peanut research that will help Texas remain on the forefront of the peanut industry. Funding for Peanut Research is allocated to breeding & genetics, disease and agronomics. Funding is allocated between these sectors based on the industry’s need.